Are the Digital Commons condemned to become "Capital Commons"? - Guerrilla Translation! You may not realise how ubiquitous Wikipedia is in your everyday life, but its open, collaboratively-curated data is used across semantic, search and structured data platforms on the web. Voice assistants such as Siri, Alexa and Google Home source Wikipedia articles for general knowledge questions; Google’s knowledge panel features Wikipedia content for snippets and essential facts; Quora contributes to and utilises the Wikidata open data project to connect topics and improve user recommendations. More recently, YouTube and Facebook have turned to Wikipedia for a new reason: to address their issues around fake news and conspiracy theories. YouTube said that they would begin linking to Wikipedia articles from conspiracy videos, in order to give users additional – often corrective – information about the topic of the video. And Facebook rolled out a feature using Wikipedia’s content to give users more information about the publication source of articles appearing in their feeds. But this work isn’t free. If Wikipedia is being asked to help hold back the ugliest parts of the internet, from conspiracy theories to propaganda, then the commons needs sustained, long-term support – and that support should come from those with the biggest monetary stake in the health of our shared digital networks. The companies which rely on the standards we develop, the libraries we maintain, and the knowledge we curate should invest back. And they should do so with significant, long-term commitments that are commensurate with our value we create. After all, it’s good business: the long-term stability of the commons means we’ll be around for continued use for many years to come. As the non-profits that make the internet possible, we already know how to advocate for our values. We shouldn’t be afraid to stand up for our value. 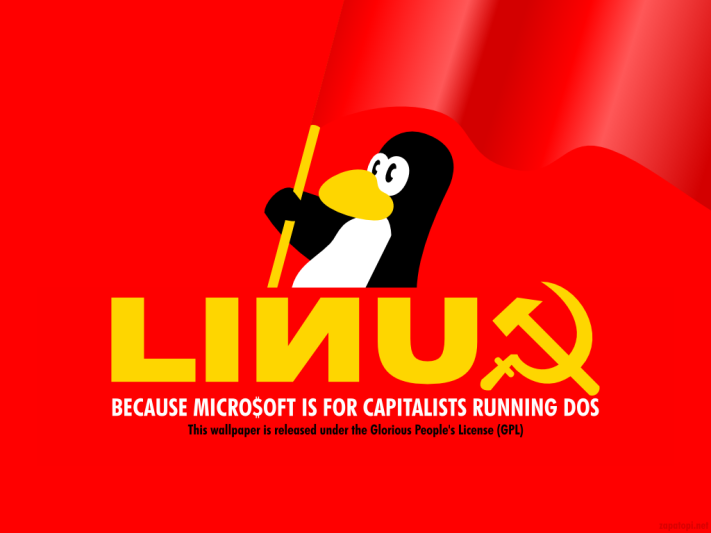 An image that makes fun of a famous quote by Bill Gates who had described the Linux project as “communist”. But today, it is Capital that produces or recovers digital Commons – starting with Linux – and maybe that shouldn’t make us laugh. There is something strange about the director of the Wikimedia Foundation saying this kind of thing. Wikipedia is in fact a project anchored in the philosophy of Free Software and placed under a license (CC-BY-SA) that allows commercial reuse, without discriminating between small and large players. The “SA”, for Share Alike, implies that derivative works made from Wikipedia content are licensed under the same license, but does not prohibit commercial reuse. For Wikidata data, things go even further since this project is licensed under CC0 and does not impose any conditions on reuse, not even mentioning the source. So, if we stick strictly to the legal plan, players like Facebook or Google are entitled to draw from the content and data of Wikimedia projects to reuse them for their own purposes, without having to contribute financially in return. If they do, it can only be on a purely voluntary basis and that is the only thing Katherine Maher can hope for with her platform: that these companies become patrons by donating money to the Wikimedia Foundation. Google has already done so in the past, with a donation of $2 million in 2010 and another $1 million last year. Facebook, Apple, Microsoft and Google have also put in place a policy whereby these companies pledge to pay the Wikimedia Foundation the same amount as their individual employees donate. 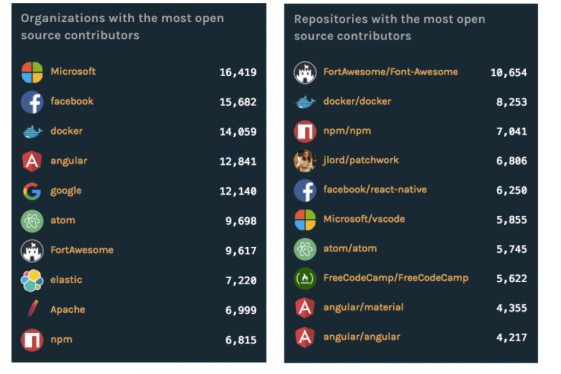 Today, almost all commonly used software depends on open source code, created and maintained by communities of developers and other talents. This code can be taken up, modified and used by anyone, company or individual, to create their own software. Shared, this code thus constitutes the digital infrastructure of today’s society…whose foundations threaten, however, to yield under demand! Indeed, in a world governed by technology, whether Fortune 500 companies, governments, large software companies or startups, we are increasing the burden on those who produce and maintain this shared infrastructure. However, as these communities are quite discreet, it has taken a long time for users to become aware of this. Like physical infrastructure, however, digital infrastructure requires regular maintenance and servicing. Faced with unprecedented demand, if we do not support this infrastructure, the consequences will be many. This situation corresponds to a form of tragedy of the Commons, but of a different nature from that which can strike material resources. Indeed, intangible resources, such as software or data, cannot by definition be over-exploited and they even increase in value as they are used more and more. 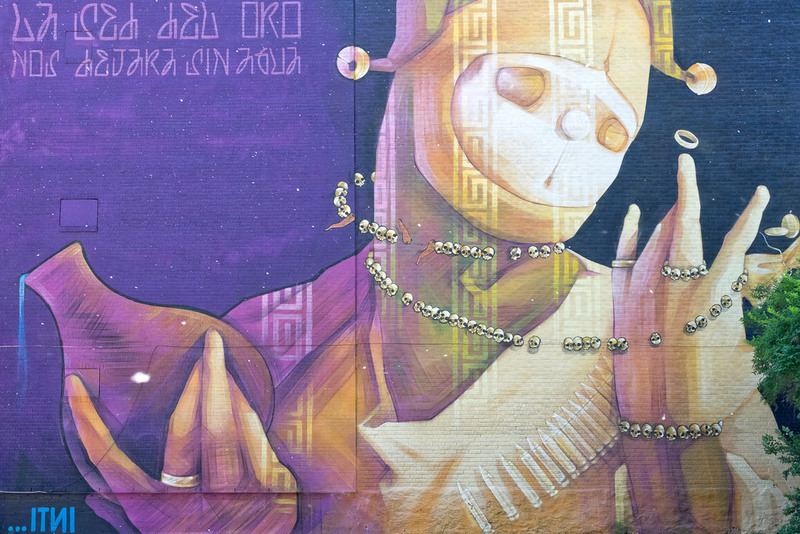 But tragedy can strike the communities that participate in the development and maintenance of these digital commons. When the core of individual contributors shrinks and their strengths are exhausted, information resources lose quality and can eventually wither away. Market players are well aware of this problem, and when their activity depends on a Digital Commons, they usually end up contributing to its maintenance in return. The best known example of this is Linux software, often correctly cited as one of the most beautiful achievements of FOSS. As the cornerstone of the digital environment, the Linux operating system was eventually integrated into the strategies of large companies such as IBM, Samsung, Intel, RedHat, Oracle and many others (including today Microsoft, Google, Amazon and Facebook). Originally developed as a community project based on contributions from volunteer developers, Linux has profoundly changed in nature over time. Today, more than 90% of the contributions to the software are made by professional developers, paid by companies. The Tragedy of the Commons “by exhaustion” that threatens many Open Source projects has therefore been averted with regard to Linux, but only by “re-internalizing” contributors in the form of employees (a movement that is symmetrically opposite to that of uberization). Large companies create communities of users or consumers to obtain opinions, opinions, suggestions and technical improvements. This is what we call the “pseudo-commons of capital”. Capital is capable of organizing forms of cooperation and sharing for its benefit. In a way, this is indirect and paradoxical proof of the fertility of the common, of its creative and productive capacity. It is a bit the same thing that allowed industrial take-off in the 19th century, when capitalism organised workers’ cooperation in factories and exploited it to its advantage. If this criticism can quite legitimately be addressed to actors like Uber or AirBnB who divert and capture collaborative dynamics for their own interests, it is more difficult to formulate against a project like Linux. Because large companies that contribute to software development via their employees have not changed the license (GNU-GPL) under which the resource is placed, they can never claim exclusivity. This would call into question the shared usage rights allowing any actor, commercial or not, to use Linux. Thus, there is literally no appropriation of the Common or return to enclosure, even if the use of the software by these companies participates in the accumulation of Capital. On the other hand, it is obvious that a project which depends more than 90% on the contributions of salaried developers working for large companies is no longer “self-governed” as understood in Commons theory. Admittedly, project governance always formally belongs to the community of developers relying on the Linux Foundation, but you can imagine that the weight of the corporations’ interests must be felt, if only through the ties of subordination weighing on salaried developers. 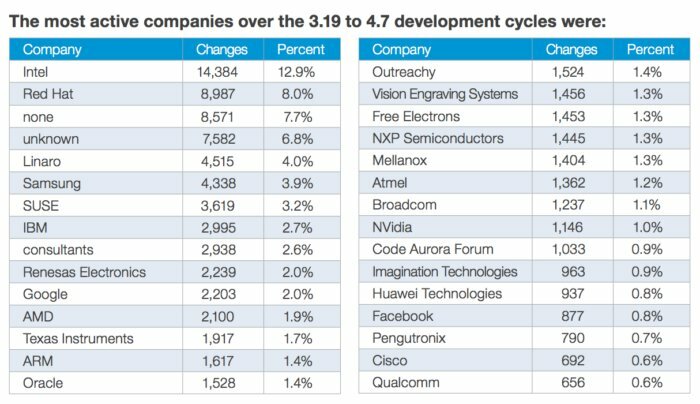 This structural state of economic dependence on these firms does make Linux a “common capital”, although not completely captured and retaining a certain relative autonomy. 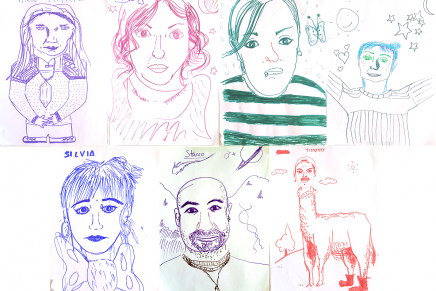 How to guarantee the independence of digital Commons? For a project like Wikipedia, things would probably be different if firms like Google or Facebook answered the call launched by Katherine Maher. The Wikipedia community has strict rules in place regarding paid contributions, which means that you would probably never see 90% of the content produced by employees. Company contributions would likely be in the form of cash payments to the Wikimedia Foundation. However, economic dependence would be no less strong; until now, Wikipedia has ensured its independence basically by relying on individual donations to cover the costs associated with maintaining the project’s infrastructure. This economic dependence would no doubt quickly become a political dependence – which, by the way, the Wikimedia Foundation has already been criticised for, regarding a large number of personalities with direct or indirect links with Google included on its board, to the point of generating strong tensions with the community. The Mozilla Foundation, behind the Firefox browser, has sometimes received similar criticism. Their dependence on Google funding may have attracted rather virulent reproach and doubts about some of its strategic choices. In the end, this question of the digital Commons’ state of economic dependence is relatively widespread. There are, in reality, very few free projects having reached a significant scale that have not become more or less “Capital Commons”. This progressive satellite-isation is likely to be further exacerbated by the fact that free software communities have placed themselves in a fragile situation by coordinating with infrastructures that can easily be captured by Capital. This is precisely what just happened with Microsoft’s $7.5 billion acquisition of GitHub. Some may have welcomed the fact that this acquisition reflected a real evolution of Microsoft’s strategy towards Open Source, even that it could be a sign that “free software has won”, as we sometimes hear. But, we can seriously doubt it. 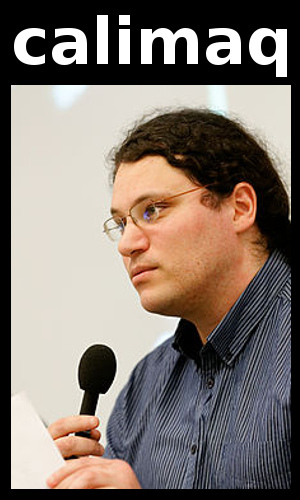 Although free software has acquired an infrastructural dimension today – to the point that even a landmark player in proprietary software like Microsoft can no longer ignore it – the developer communities still lack the means of their independence, whether individually (developers employed by large companies are in the majority) or collectively (a lot of free software depends on centralized platforms like GitHub for development). 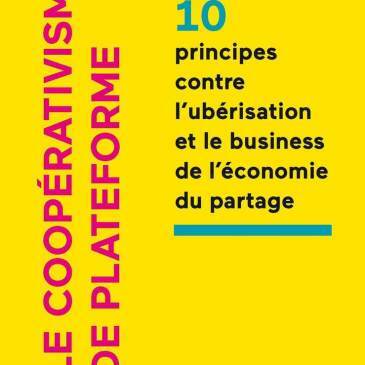 Paradoxically, Microsoft has taken seriously Platform Cooperativism’s watchwords, which emphasize the importance of becoming the owner of the means of production in the digital environment in order to be able to create real alternatives. Over time, Microsoft has become one of the main users of GitHub for developing its own code; logically, it bought the platform to become its master. Meanwhile – and this is something of a grating irony – Trebor Scholz – one of the initiators, along with Nathan Schneider, of the Platform Cooperativism movement – has accepted one million dollars in funding from Google to develop his projects. This amounts to immediately making oneself dependent on one of the main actors of surveillance capitalism, seriously compromising any hope of building real alternatives. One may wonder if Microsoft has not better understood the principles of Platform Cooperativism than Trebor Scholtz himself, who is its creator! For now, Wikipedia’s infrastructure is solidly resilient, because the Wikimedia Foundation only manages the servers that host the collaborative encyclopedia’s contents. They have no title to them, because of the free license under which they are placed. GitHub could be bought because it was a classic commercial enterprise, whereas the Wikimedia Foundation would not be able to resell itself, even if players like Google or Apple made an offer. The fact remains that Katherine Maher’s appeal for Google or Facebook funding risks weakening Wikipedia more than anything else, and I find it difficult to see something positive for the Commons. In a way, I would even say that this kind of discourse contributes to the gradual dilution of the notion of Commons that we sometimes see today. We saw it recently with the “Tech For Good” summit organized in Paris by Emmanuel Macron, where actors like Facebook and Uber were invited to discuss their contribution “to the common good”. In the end, this approach is not so different from Katherine Maher’s, who asks that Facebook or Google participate in financing the Wikipedia project, while in no way being able to impose it on them. In both cases, what is very disturbing is that we are regressing to the era of industrial paternalism, as it was at the end of the 19th century, when the big capitalists launched “good works” on a purely voluntary basis to compensate for the human and social damage caused by an unbridled market economy through philanthropy. The Commons are doomed to become nothing more than “Commons of Capital” if they do not give themselves the means to reproduce autonomously without depending on the calculated generosity of large companies who will always find a way to instrumentalize and void them of their capacity to constitute a real alternative. 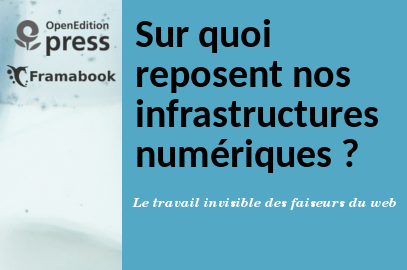 An association like Framasoft has clearly understood that after its program “Dégooglisons Internet”, aimed at creating tools to enable Internet users to break their dependence on GAFAMs, has continued with the Contributopia campaign. This aims to raise public awareness of the need to create a contribution ecosystem that guarantees conditions of long-term sustainability for both individual contributors and collective projects. This is visible now, for example, with the participatory fundraising campaign organized to boost the development of PeerTube, a software allowing the implementation of a distributed architecture for video distribution that could eventually constitute a credible alternative to YouTube. But with all due respect to Framasoft, it seems to me that the classic “libriste” (free culture activist) approach remains mired in serious contradictions, of which Katherine Maher’s article is also a manifestation. How can we launch a programme such as “Internet Negotiations” that thrashes the model of Surveillance Capitalism, and at the same time continue to defend licences that do not discriminate according to the nature of the actors who reuse resources developed by communities as common goods? 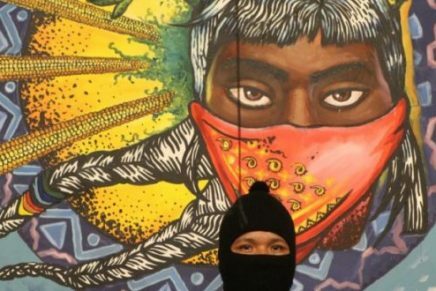 There is a schizophrenia here due to a certain form of blindness that has always marked the philosophy of the Libre regarding its apprehension of economic issues. This in turn explains Katherine Maher’s – partly understandable – uneasiness at seeing Wikipedia’s content and data reused by players like Facebook or Google who are at the origin of the centralization and commodification of the Internet. To escape these increasingly problematic contradictions, we must give ourselves the means to defend the digital Commons sphere on a firmer basis than free licenses allow today. This is what actors who promote “enhanced reciprocity licensing” are trying to achieve, which would prohibit lucrative commercial entities from reusing common resources, or impose funding on them in return. We see this type of proposal in a project like CoopCycle for example, an alternative to Deliveroo; or Uber Eats, which refuses to allow its software to be reused by commercial entities that do not respect the social values it stands for. The aim of this new approach, defended in particular by Michel Bauwens, is to protect an “Economy of the Commons” by enabling it to defend its economic independence and prevent it from gradually being colonised and recovered into “Commons of Capital”. 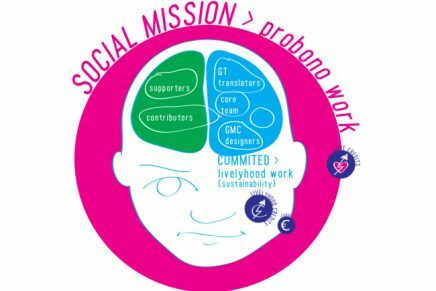 With a project like CHATONS, an actor like Framasoft is no longer so far from embracing such an approach, because to develop its network of alternative hosts, a charter has been drawn up including conditions relating to the social purpose of the companies participating in the operation. 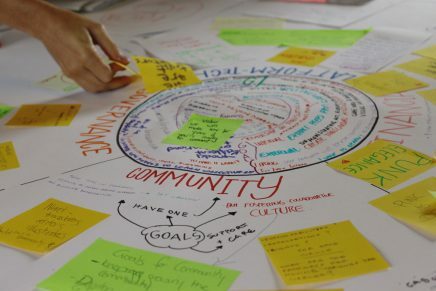 It is a first step in the reconciliation between the Free and the SSE, also taking shape through a project like “Plateformes en Communs”, aiming to create a coalition of actors that recognize themselves in both Platform Cooperativism and the Commons. There has to be a way to make these reconciliations stronger, and lead to a clarification of the contradictions still affecting Free Software. Make no mistake: I am not saying that players like Facebook or Google should not pay to participate in the development of free projects. But unlike Katherine Maher, I think that this should not be done on a voluntary basis, because these donations will only reinforce the power of the large centralized platforms by hastening the transformation of the digital Commons into “Capital Commons”. If Google and Facebook are to pay, they must be obliged to do so, just as industrial capitalists have come to be obliged to contribute to the financing of the social state through compulsory contributions. This model must be reinvented today, and we could imagine states – or better still the European Union – subjecting major platforms to taxation in order to finance a social right to the contribution open to individuals. It would be a step towards this “society of contribution” Framasoft calls for, by giving itself the means to create one beyond surveillance capitalism, which otherwise knows full well how to submit the Commons to its own logic and neutralize their emancipatory potential.